Curtis Mann is a 18-year veteran of the California wine industry, with experience in hospitality, direct-to-consumer sales and wine marketing. As the wine, beer and spirits buyer for Raley’s, he is responsible for alcohol sales across 118 stores in California and Nevada. Mann began his career at ZD Wines and later served as tasting room manager at Baldacci Family Vineyards. After earning his MBA from the UC Davis Graduate School of Management, he assumed a number of roles buying and selling wine in the retail and restaurant industries. Mann has completed the Wine and Spirits Education Trust diploma and is enrolled in the Masters of Wine program. He is also a judge at the California State and Calaveras County Fairs. Dr. Liz Thach, MW (pronounced “tosh”) is the Distinguished Professor of Wine and a Professor of Management at Sonoma State University where she teaches in both the undergraduate and Wine MBA programs. Liz’s passion is wine, and she has visited most of the major wine regions of the world and more than 50 countries. In addition, she is an award winning author who has published over 140 articles and 8 wine books, including Call of the Vine, Best Practices in Global Wine Tourism and Wine Marketing & Sales. A fifth generation Californian, Liz finished her Ph.D. at Texas A&M and now lives on Sonoma Mountain where she tends a small hobby vineyard and makes pinot noir wine. 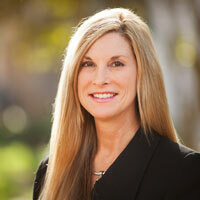 She also works as a wine judge in various competitions, and has served on many non-profit wine boards. Liz obtained the distinction of Master of Wine (MW) in May of 2011. Sara Schneider has been a wine, food, and general lifestyle editor and writer for 25 years, most recently as Consulting Wine and Spirits Editor for Robb Report. Previously, as Sunset’s Wine Editor, she was responsible for writing a monthly wine column as well as wine-related food and travel stories; organizing tasting panels; pairing food and wine in the test kitchen; leading wine seminars at Sunset events; overseeing the magazine’s wine club; and developing and overseeing Sunset’s International Wine Competition. 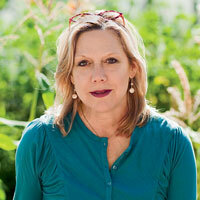 Sara has judged many wine competitions, both on the West Coast and internationally. In 2007 she co-authored the book California Wine Country, a Sunset Field Guide. She has been nominated for multiple James Beard and IACP journalism awards and holds the Academy of Wine Communication’s Certificate for Excellence in Wine Writing. As President and Chief Education Officer for Full Circle Wine Solutions Inc. Evan has had a long history in the wine industry. In 1987 he became the eighth American and youngest ever at the time to pass the prestigious Master Sommelier examination. 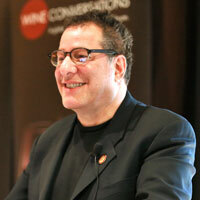 Since 1990, Evan has created education programs, wine training and service hospitality schools with Seagram Chateau & Estates Wines Company, Diageo, Allied Domecq, and most recently, as the Vice President of Global Wine & Brand Education at Beam Wine Estates. In addition, Evan continues to train and examine candidates for the Court of Master Sommeliers as a Founding Board member. Evan is the author of Five Star Service: Your Guide to Hospitality Excellence and the critically acclaimed books, Perfect Pairings: A Master Sommelier’s Practical Advice for Partnering Wine with Food and its sequel, Daring Pairings: A Master Sommelier Matches Distinctive Wines with Recipes from His Favorite Chefs. In addition, Goldstein co-authored numerous books with his mother Joyce Goldstein, including ‘Wine and Food Pairing’ in the Williams Sonoma Lifestyles series. Evan is a regular editorial contributor to America’s Sommelier Journal, a contributing editor for Wine & Dine and Indulgence magazines in Singapore, is the American wine correspondent for Wine Review, South Korea’s leading wine and food magazine, and is a recurring guest wine expert on NBC’s syndicated television show “In Wine Country.” He also makes regular guest appearances on the “Ronn Owens’ Show” on KGO Radio, and on Saturday morning television’s KPIX “Eyewitness News”, both in San Francisco, and on the nationally syndicated Martha Stewart Radio, hosted by Sirius. Evan has been twice included on the IntoWine.com’s “Top 100 Most Influential People in the U.S. Wine Industry” in 2018 and its original list in 2013. In 2018, Evan and his business partner, Limeng Stroh, launched Master the World, a subscription-based and curated blind tasting kits. Barbara (Bibi) Gelfand Summer served as art director of Wines & Vines from 2013 to 2016. During her tenure, Gelfand Summer redesigned Wines & Vines’ magazine and logo and created logos and marketing materials for the W&VPack and W&VOak conferences. She is a graduate of the Wine Executive Program at the University of California, Davis, and spent three vintages helping harvest and produce wine with the staff of Wines & Vines. Previously she was the art director for Stringletter Publishing overseeing digital and print design as well as video and book production for Acoustic Guitar and Strings magazines. She has won design awards from the American Graphic Design Association, the Western Publishing Association and the Tube Council of North America. Gelfand Summer attended Pratt University’s Graduate Communications Design program. She served as a city commissioner for the Architectural Heritage and Landmarks Commission in Vallejo, Calif., and as media director for USTA and masters tennis tournaments in the western United States. Currently she teaches book arts and bookbinding in Marin County. If you have any questions, please contact Rebecca Arnn at rebecca@winesandvines.com.